Quebecois director Denis Villeneuve directed one of the best films of 2015 with Sicario, a bleak look at the moral toll the US government’s war on the Mexican drug cartels takes on its frontline warriors. With Arrival, he shifts genres to science-fiction and his tone to optimism, but his handling of the material is equally hypnotic, confident and cerebral. Jeremy Renner, who plays theoretical physicist Ian Donnelly, calls Arrival a blend of Steven Spielberg and Stanley Kubrick. It’s a comment that unlocks the meaning of a film that seeks to synthesise art with science, reason with emotion, empathy with intellect, and the intimate with the cosmic. Arrival is nothing less than an attempt to square Spielberg’s emotional warmth with the circle of Kubrick’s intellectual chilliness. 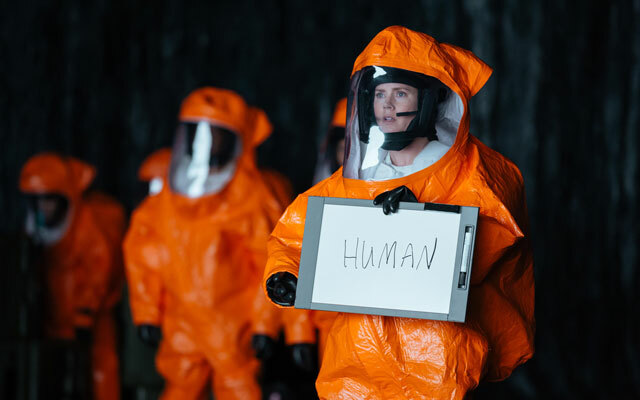 Arrival is based on a novella by Ted Chiang, whose high-concept stories spin out thought experiments. What if the existence of God, heaven and hell was provable? What if we discovered if the rules of mathematics were arbitrary rather than fixed? And, in Arrival, how do you begin to communicate with an alien species with whom you share no experiences and no frame of reference? German philosopher Ludwig Wittgenstein said: “If we spoke a different language, we would perceive a somewhat different world.” Arrival’s central question is: how differently would we perceive the world if we learnt an alien language from a species that had little in common with us in terms of physiology, experience and environment? Renner’s Donnelly and eminent linguist Louise Banks (Amy Adams) are the experts roped in to help the US military crack an extra-terrestrial language after a dozen spacecraft appear in different parts of the world. With the more hawkish world superpowers getting nervous about the possibility of an alien invasion, the pair must race against time to find out why the visitors have come if they are to prevent a war. But Arrival is more a philosophical meditation than a thriller. Like Contact or Close Encounters of the Third Kind, Arrival prefers to focus on how an encounter with aliens might shift our worldview rather than on the potential for conflict. Like Interstellar, it asks how we change when our understanding of the nature of universe changes. Though not as interested in harder science as Interstellar, it’s a more tonally assured and logically cohesive film. Linguistic relativism — the idea that the structure of the language we use shapes how we see the world — and predeterminism are heady topics for a US$50m film. But Villeneuve’s precise, elegant craftsmanship makes him an ideal director to translate Chiang’s meticulous but spare prose into the language of cinema. Here, he works with Bradford Young rather than frequent collaborator Roger Deakins as his director of photography. Young’s muted colours and exact framing lend the film an austere, otherworldly beauty; Jóhann Jóhannsson, whose Sicario work was nominated for an Oscar, complements the visuals with a plangent, droning score. The alien spaceships — called “shells” — and the creatures themselves are eerie conceptions that truly look as if they came from a place outside human understanding. The reveal of the two aliens with which Banks and Donnelly confer captures both the existential terror and the wonder a first encounter with such creatures would surely evoke. 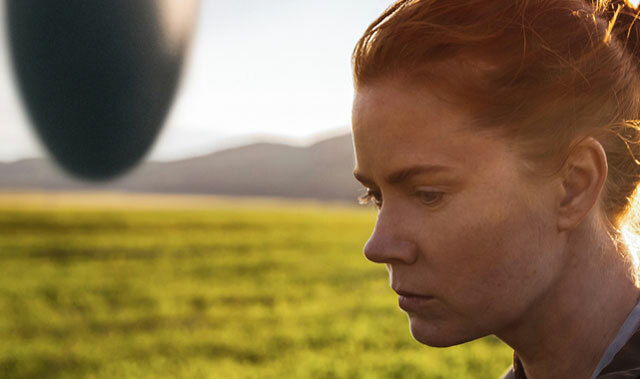 The emotional weight of Arrival hangs on Adams’ shoulders, giving an introspective performance as a grieving mother and brilliant analytic mind making sense both of her own destiny and of the alien language. This is a different kind of performance to the showiness of, say, Sandra Bullock’s turn in Gravity — deliberately understated, played with gentle humour and empathy rather than dramatic flair. Renner provides reliable support and some lightness, as her wry, affable colleague.